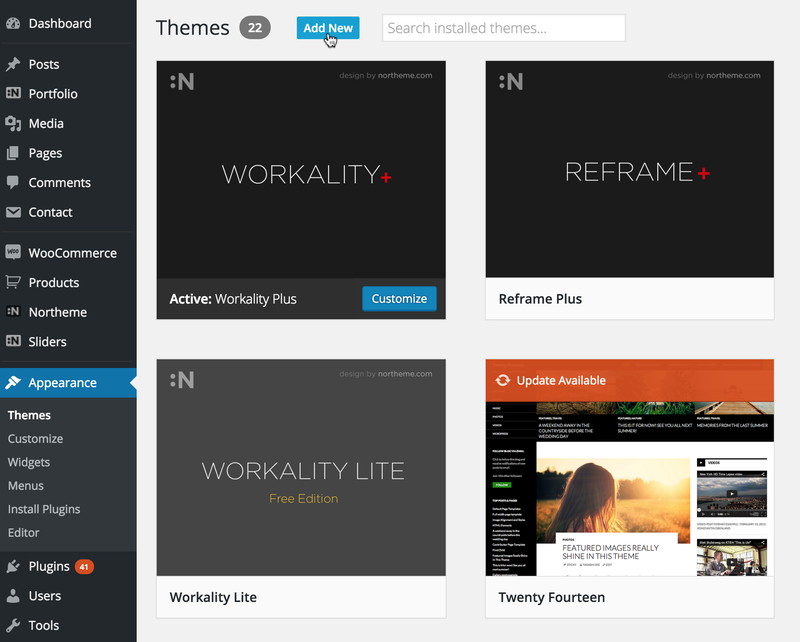 If you’ve already installed WordPress and downloaded theme files from northeme.com, you’re ready to install the theme. It’s almost same process with installation. If you’re going to do it from Appearance > Themes, you’re supposed to delete the current theme first then re-upload theme zip file. As for FTP, you can delete or rename the theme folder from wp-content/themes and upload zip file content. Note that deleting theme folder will NOT cause any data loss. Click to Add New page to create a new page. 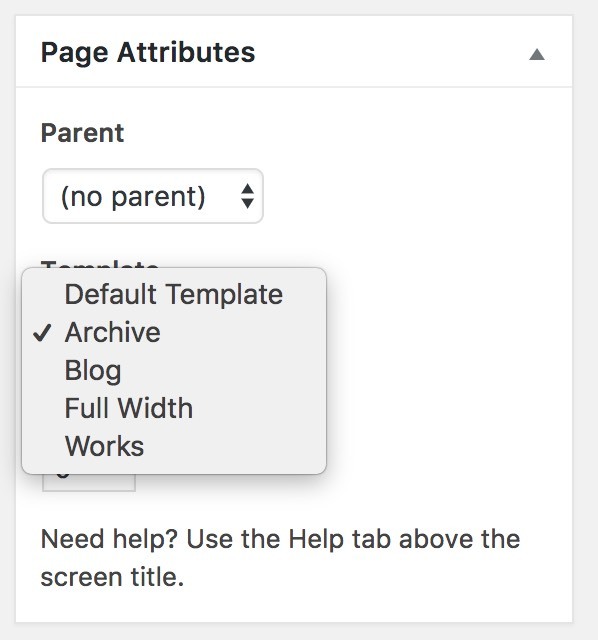 Default Page is the default page template to create page with widgets sidebar. Full Width is similar to default template for common use. Only difference is it’s a page without widgets sidebar. Archive is a simple page to list recent posts, and posts by category. If you wish to set a page created front page / home page, you can do it by selecting static page at Front Page from Settings > Reading. Then select any page to set it your homepage. Make sure that Posts Page option is unselected at Settings > Reading to prevent conflicts. 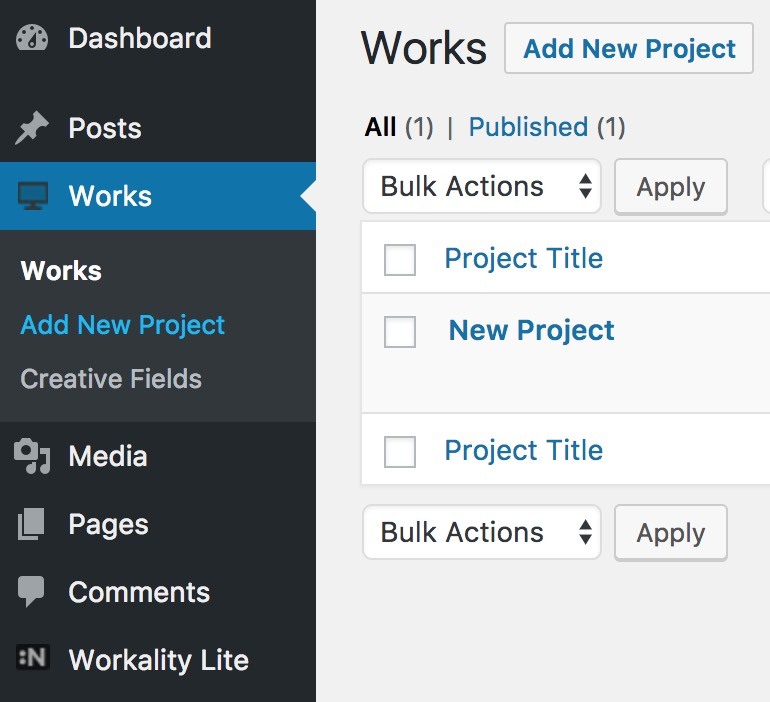 In order to create a new project, go to Add New Project and set a title for your project. You can use visual editor to build content yet Composition section aims to make easier adding, re-ordering and arranging project assets. You can add image and videos by clicking respective buttons. Workality Plus (premium version) also provides text element and allows to re-arrange composition assets by various column settings and lightbox option. Set a featured image in order to display post thumbnail on Works posts listing page. Workality Plus (premium version) also offers embed video, slider, SVG / Animated GIF and hover image options to use them as featured image. 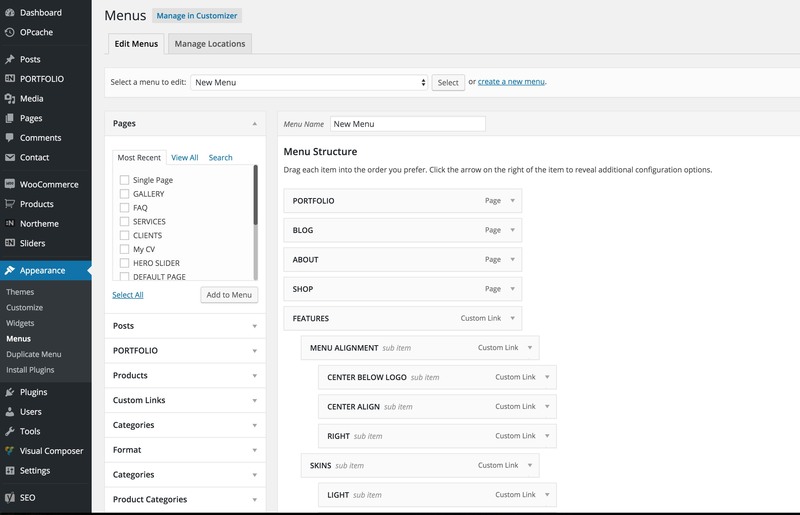 Create a new menu, build menu content by drag&drop. Once it’s done, simple opt-in for Main&Mobile Menu at Display Locations to activate it. Sidebars are tools for adding widgets to your pages. Your theme offers Footer, Page and Blog Sidebars and they can be managed at Appearance > Widgets on dashboard. Adding widgets into sidebar areas activates them on your website. Footer widgets are located as 4 columns on the footer. You can disable or change column count of Footer Widgets at Workality Lite > Footer Settings. Your theme is ready to translate. Default language files are located in the theme folder and named as default.po and default.mo. We highly recommend using a child theme and copy languages folder into child theme directory. Using a child theme is required to maintain your changes after theme updates. Unfortunately Workality Lite may not be fully compatible with WPML. Only our premium themes are fully compatible with WPML and qTranslate X multilingual plugins. If you wish to make modifications on theme files, it’s highly recommended to use a child theme. As a free product, Workality Lite doesn’t offer a child theme template. Child themes are only available with our premium themes.